Freelancing and entrepreneurship shouldn’t be by compulsion but by choice. If you are considering to be an entrepreneur or freelancer because you hate your boss or hate your manager, you should reconsider it again because this may not be the right time for you to be an entrepreneur or freelancer but it may be high time to look for a job switch. If you are considering freelancing that’s great but it is not a substitute for a job until you can get regular source of clients for few months regularly. It is only then you can think about quitting your job. If you are frustrated with the current job, it can mean, the job allows very little personal time or can mean it is taking up a lot of your time than you want to dedicate to it for your compensation and so opt for a job that allows you more time for personal life and helps you enjoy what you may do as a freelancer. When looking for new job, don’t opt for higher pay but focus more on the job responsibility and how you can give more time to your personal life and slowly but surely can use the extra time to build your team as an entrepreneur or build clients for freelancing. Look for a job where you don’t carry your office along with you when you leave and your manager or boss don’t have the habit of ruining your weekends. Believe me, there are such jobs. Often it is seen that people get frustrated when they have personal plans which are ruined for no reason. Managers have the habit of making calls on off days and weekends. If you have such issues, hunt for a new place to work. I will restate the first line of the article. 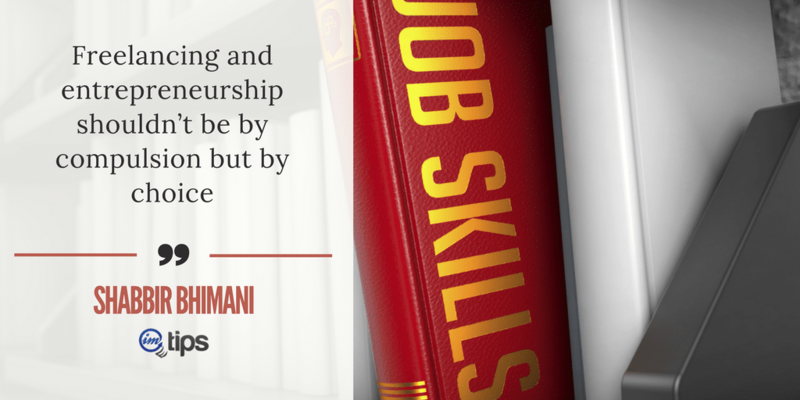 Freelancing and entrepreneurship shouldn’t be by compulsion but by choice. So when you have a stable job, you have the right psychology to think and act more maturely. When you have a stable job, you can always test few freelancing options and technologies. As an example, you can try things with what you know best versus what you like most. As an example when I was a C++ developer, I had a choice of being a freelancer in C++ but I opted to move to PHP and to vBulletin back then. In a job with some spare time at your bay can mean you may give time to evaluate career choice to be a freelancer. It can give you a clearer picture of what you hated the most in your current job. Or you hate working in the regular hours of 9 to 5. Or you hate the technology you are working in. 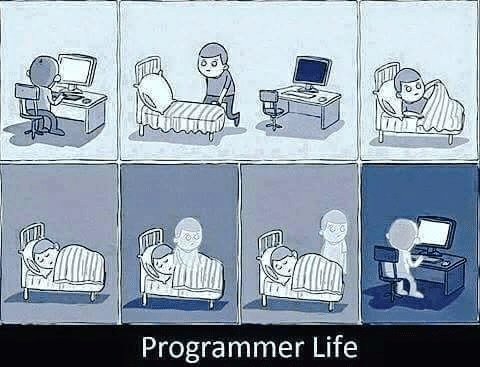 I have seen many people even hate programming and are still doing the job of a developer. If you happen to be stuck in such cases, you need to know what you love. It can be as simple as you love to design and not code. I have shared how bloggers can find the right niche for blogging but the exact same process can be applied to freelancing. You have to list your hobbies and funnel down to something that you absolutely love. Once you find things you like and love, there will always be people on the Internet who will love to pay for it and you can build a freelancing business around it.